Are doctors the problem and can they be the solution? I read about this â€œPakistani girl bandâ€ a while ago last December but only got my hands on their album Chup a few months ago. Mutineers, Zeb & Haniya is not a girl band. Zeb and Haniya are two Pakistani women cousins, Haniya Aslam and Zeb (Zebunissa) Bangash, who make fantastic music. Two weeks ago, they were awarded â€œBest Live Actâ€ in the MTV Pakistan Music Awards. They are Pashtuns (Pathans) whose families are based in the town of Kohat in the North West Frontier province. What struck me about this clip was how 9/11 really defined how the guys built their identity. I know it is a significant marker to building the identity for South Asian American of our generation, but it is surprising to see how different people have used the experience to different paths of empowerment. For some it’s voting or service work and others it’s starting punk bands. When I used to DJ parties here and there in the early and mid-2000s, I always had a quandary: what can you possibly play after “Mundian to Bach Ke”? It was such a floor-filling crowd-pleaser, and there was almost nothing that could come after it that kept up the energy. Granted, there were variations of the same song that lesser producers and remixers had started putting out, but no other Bhangra track quite compared. “Mundian to Bach Ke” was a singularity. Perhaps it’s been a problem for the person who produced the song himself: how do you follow a monster hit? After Panjabi MC became briefly huge in 2003, he went a little quiet. There was the re-release in 2004 of an album called “Desi” [from 2002], and then a studio album in 2005 (“Steel Bangle”) that was mostly recycled filler, to satisfy an earlier contract with Moviebox Records (see Sajit’s SM review here). “Indian Timing,” which was finally released this spring on Itunes after many delays, is finally, nearly all new material, with very little filler. It’s also an actual album, unlike much of what is released by Brit-Asian producers these days (in the era of piracy and digital downloading, there is a greater emphasis on singles). In terms of the sound, PMC stays true to the combination he’s famous for — big hip hop beats with lively Punjabi bhangra vocals. For people downloading selectively from Itunes, I would suggest starting with “Can’t Stop Us,” “Kee Lagda,” and “Punjabi Soldiers.” All are upbeat Punjabi songs over hip hop beats, with vocals by Manjit Jelhi. Pretty much any of those three would be good to follow “Mundian to Bach Ke” on a dance-floor. I have been following the Twitter account of finalist Tussah Heera as well. Sweet kid and it is good to hear the unfiltered perspective from the inside. The Scripps Bee Twitter account also has lots of great pictures and info. Walk to and around the office tall today my fellow South Asian Americans. You’ve ummmmm (cough cough) earned it. And a big ups for all the participants. It was way better than the Cavs-Magic game last night. I’ve never hitchhiked, but I’ve often wondered what it would be like, sticking your thumb out at motorists, hoping one of them stops, hoping it isn’t someone who wants to take you home and introduce you to his woodchipper. That’s a reference, of course, to the movie Fargo, set partly in North Dakota, not far from the small city of Edgeley in LaMoure County, where 16-year-old Harman Singh was an exchange student until May 16, when he apparently tried to make it on his own. He left goodbye notes and hit the road for about a week, before calling his host mother from Fergus Falls, Minn., about 130 miles away. He’s now in custody and will be sent back to India. Sri Lanka last night scored a major propaganda coup when the UN human rights council praised its victory over the Tamil Tigers and refused calls to investigate allegations of war crimes by both sides in the final chapter of a bloody 25-year conflict. In a shock move, which dismayed western nations critical of Sri Lanka’s approach, the island’s diplomats succeeded in lobbying enough of its south Asian allies to pass a resolution describing the conflict as a “domestic matter that doesn’t warrant outside interference”. This is sick. Out of the 41 semifinalists left standing today, 15 of the are Indian Americans. The Kenyans have running. The Cubans, baseball. The Chinese, ping-pong. Indian Americans own spelling. Expected to be in that final group are several returning favorites. Fourteen-year-old Keiko Bridwell of Duncan, S.C., back for the fourth time after tying for 17th last year, had no problem with “swivel” and “mahout” (one who keeps or drives elephants) in her oral rounds and breezed into the semifinals. Is it easier now because she’s a veteran? When ESPN calls you the Spelling Bee favorite it is just like putting an NFL player on the cover of a Madden game. You are probably cursed. Therefore, based on my own intensive scouting I offer up the following thoughts for those people who have bookies in Vegas and want to bet on these young horses. Word of advice: always bet on brown. The first one I want you to keep an eye on is Vaibhav S. Vavilala from Indiana. Double V as he is known on the circuit is a 4 time competitor. Experience helps, but it can also prove to be a mental block because you can better visualize past failure. 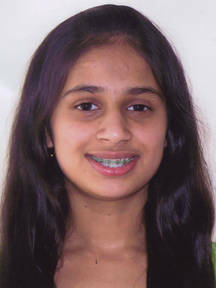 The next contestant I want you to watch for is Kavya “The Destroyer” Shivashankar. Like Double V above she is a four time veteran. According to her profile the thirteen year old looks forward to becoming a neurosurgeon. The Kavyas we know stop at nothing when the smell of success is in the air. Each year since 2004 the Indo-American Arts Council has put on an exhibition of contemporary art called Erasing Borders that focuses on Indian diaspora artists. News of the exhibit is always an introduction to some cool new art that I’ve never seen before. This year’s showing of 29 artists, exhibiting through the end of the year mostly at New York venues is no different. Reading about the violence at a Sikh Gurdwara in Vienna, Austria, last weekend, and now the subsequent, extremely dangerous riots in Punjab, leaves me feeling sad though not particularly surprised. There is also a second, properly orthodox Sikh Gurdwara in Vienna, which has been described as being controlled by hardliners who support the idea of an independent Sikh homeland (Khalistan).